Pre Diabetes in the United states according to the CDC is at a whopping 100 Million Americans, that's 30.7% of the entire US Population! And according to Quest Diagnostics you are pre-diabetic when your A1c Levels hit > or 5.7-6.4%. Once pre-diabetic levels occurs its very easy to reach confirmed diabetic levels. Once pre-diabetes is present, the path to disease can be significantly systemic to your health. Related diseases are much more probable to start forming.This is called Metabolic Syndrome, the name for a group of risk factors that raises your risk for Heart Disease, Diabetes, stroke, obesity, and other diseases known in America as leading causes of Death. For example 1.5 Million heart attacks and strokes happen in the United States each year according to the CDC-- 800,000 of which are heart related. Ordering a Hemoglobin A1c along with a Glucose test can help your doctor come up with your baseline health results to help you come up with a solid game plan to reverse or prevent diabetes. 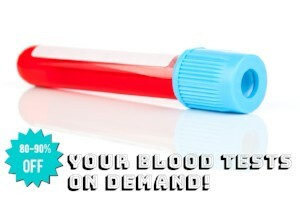 Ordering the Hemoglobin A1c blood test is easy to access and cheap when you order it through New Century Labs. Results take only 72 hours and you instantly can be made aware of any changes you need to make in your life from a better diet to exercising more frequently-- the bright side is: ITS REVERSIBLE if caught early! "70-80 of All Clinical Decisions Come From 1 Single Drop of Blood....."
Disease happens before any symptoms appear and with access at your disposal, you have no excuse to not be proactive about your own healthcare. "We look forward to serving you"